Photography is just as much an expression for me as anything I create. Sometimes my emotion emerges in this way. I don’t want to share too much about my own emotion during the creative process so that viewers can observe from your own perspective. I most often never end up having a plan but just moving in spacial presence with the image as I move with it. My editing process is ruled by emotion, most often I am lucid, discarding multiple photos for that one which speaks to me directly. I don’t create images with other people viewing them in mind. Only when I write does the process of interactive connectivity with my reader become present in me. 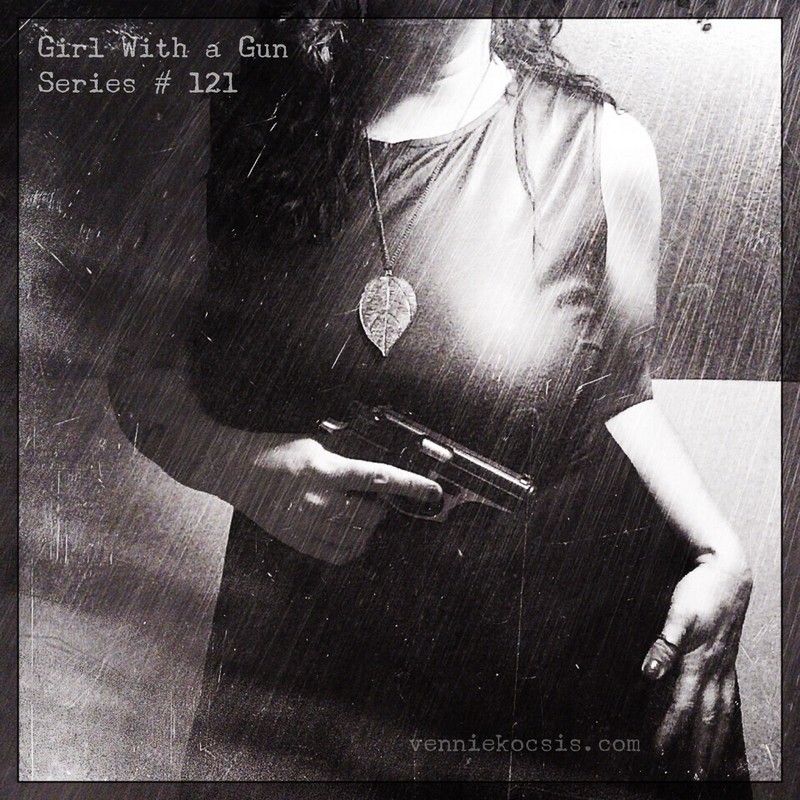 With art and photography it’s a different process. It’s me and whatever needs to purge, and I enjoy giving it away for however someone wants to interpret it. 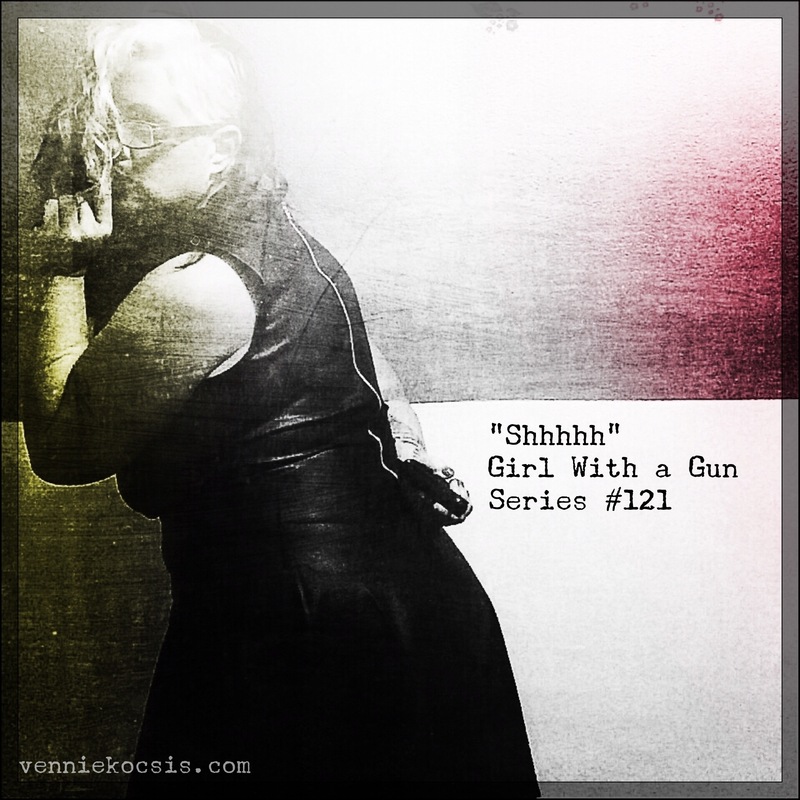 Posted on December 20, 2014 by Vennie Kocsis •	This entry was posted in Swag and tagged abuse, art therapy, artistic, child abuse, creative outlet, creative therapy, cult child, emotion, expression, feeling, girl with a gun, girl with a gun series # 121, graphic art, gun, Outlets, photo art, photography, trauma, trauma survivor. Bookmark the permalink.